I first met Maomai and her mother in July. They were the stars of my first patient story (her before and after photos were incredible). However, the histology reports made it uncertain the tumor was completely eradicated. There was a possibility it was derived from a fast-growing cell that could replicate very quickly. When she left, we all prayed the tumor would not redefine itself. Six months after surgery, it hasn't. On Wednesday night I was working in my office after business hours. I was really tired, so when I heard a knock on the door, I wasn't particularly excited. "There is someone you have to see in the cafe." I got up, locked the door behind me, and was delighted to find Maomai and her mother, Perlagie, sitting at a table. Dressed in matching outfits, they both looked beautiful. Perlagie is still glowing and Maomai is getting big and fat (like babies should). As my time here winds down and we prepare to leave Benin, it was wonderful to see the full circle of a patient transformation. I'm really happy they are both doing so well. On Saturday, there was a blackout on the ship, which meant no lights or toilets. All crew members were encouraged to leave. I spent the day at the near-by saltwater pool, conveniently located next to the beach. The weather was perfect and the company lovely. It was a really good day. On Wednesday an outlined hand decorated as a turkey, was stuck to my door. It read "5:30, be at 'our table', and wear your best." I had almost forgotten it was Thanksgiving (the West African heat isn't the best reminder). Thursday morning, I woke up exhausted, which is never a good start to the day. As the field service comes to an end and we prepare to sail, I can speak on behalf of the entire crew in saying we are all very tired. Remembering that my family and friends had the day off as I dragged myself out of bed didn't exactly help my mood. I was jealous of the day they were having. Everyone would sleep in, watch a Christmas movie or football game, and then eat an unhealthy amount of delicious food. The thought made me a bit cranky all day. When 5:30 came around, I headed to the dining room like every other night. I was delighted to see two of the cooks standing at each serving line, carving pieces of fresh Turkey. After preparing food for a reception for 200 people, the galley staff had somehow managed to cook us an amazing Thanksgiving turkey dinner. When I reached "our table" I found fresh pecan pie and punch amidst some lovely decorations. It was surrounded by some really lovely friends. For a few of them (who were non-Americans), it was there very first Thanksgiving. I looked around the table and realized how much I had to be thankful for. God is always faithful. When I returned to the ship in July, my biggest concern was finding friends and fellowship. And there I sat, celebrating Thanksgiving with some rather remarkable, talented, and diverse friends that uniquely express His love. God is so good. Regardless of what part of the world He has lead me too or the season of life I have found myself in, He has never failed me. I can always be thankful because I know He never will. We always have a crowd of kids watching. Every Friday evening we fill several vehicles and drive to a near-by field for a game on ultimate Frisbee. After sitting in an office all week, it's really nice to be outside and get some exercise. It's sad to think we only have one or two Fridays left. 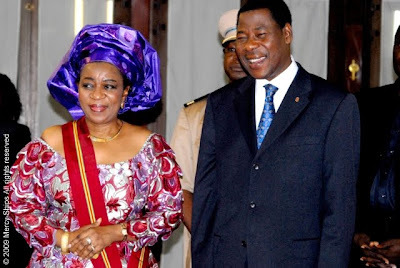 Last Tuesday, the entire crew was invited to the President of Benin's palace for dinner. Around 5:30 pm, buses were sent to begin transporting the 400 person crew to the palace. I was very uncertain of what to expect. I drove to the event in the communications vehicle. We planned on following one of the buses, but somehow it speedily left our sight before we drove off the dock. Richard (who was driving) headed towards what he thought was the palace. When we arrived, the Mercy Ships logo allowed us passage through the gate and after a few minutes of driving in the compound, we found the rest of our group (it was the palace after all). The Palace was beautiful, the food was great, and the dance troupe who provided the entertainment was amazing. It's not everyday you dine with the president of a country. 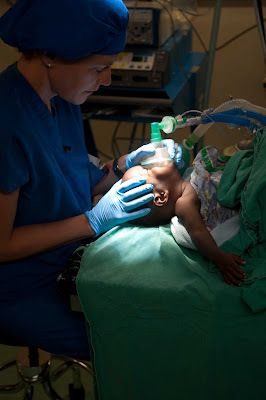 The last surgeries of the field service we performed on Friday. This is an article on the OR. For thousands, the 60-second walk down the long hallway which runs through the Africa Mercy has been the final leg in a long quest for physical, emotional, and spiritual restoration. At the hallway's end is a pair of sealed doors which lead to a state-of-the-art operating suite, filled with teams of nurses and surgeons. Every day patients walk through the sealed doors, crossing a threshold of transformation, to receive life-changing free surgery.Over five thousand surgical procedures have already been performed on the Africa Mercy during the 2009 Field Service in Benin.Surgeries performed onboard include orthopaedics, maxillofacial, plastics, general, vesicovaginal fistula repair (VVF), and cataract removal. The Africa Mercy has six operating theaters, predominately staffed by short-term crew who come from around the world to share their expertise with the forgotten poor. "Everyone stays for a very short period of time. Our entire operating room team consists of 50 people, and only five of us are long-term staff," said Operating Room Supervisor Alison Brieseman. "We bring in people who know what they are doing, so we can have a higher turnover. Short-term people come in, they scrub up, we point them towards a table, and they are fine. If you can work in the OR in one country, you can work in the OR anywhere else. " The Africa Mercy operating suite is a diverse and dynamic environment which Alison Brieseman thoroughly understands. 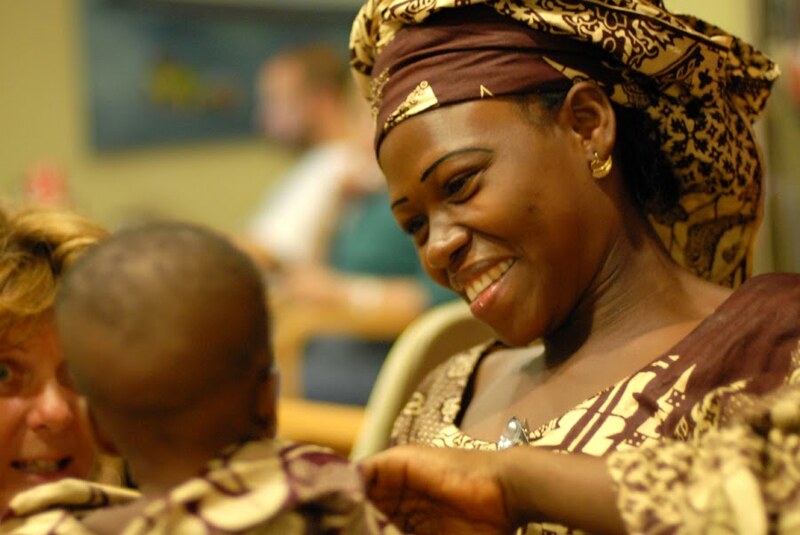 She has served with Mercy Ships for five years. She first worked as an operating room nurse and has held the position of Operating Room Supervisor since the inauguration of the Africa Mercy in June 2007. "Somehow it (the OR) work when it really shouldn't. People come from everywhere, and they all know different things. They speak different languages and do things different ways. The staff is constantly changing; everyone is new all the time. You would think there would be a really high stress level and that people disagree about everything. But it's just not like that. It's a fun place to be. It's a real testimony to the grace of God," said Brieseman. 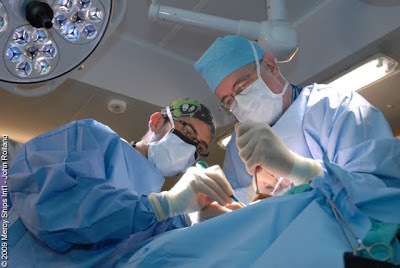 For most of the 2009 Field Service in Benin, the OR has run at full capacity, utilizing all six operating rooms and maximizing the number of patients served. "Recently, I was going over the statistics from this field service.Compared to last year, by week 21, we had doubled the amount of procedures performed. So, many more people have received surgery. It's been a really exciting outreach," said Brieseman. She attributes this increase to better staffing and a more efficient use of resources. A major accomplishment of the OR during this field service has been the successful training of three Benin nurses in operating room procedures. "At the beginning of the year, they were registered nurses but had never worked in the operating room. One of our long-term OR nurses, Glenys Gillingham, has been working with them throughout the field service," said Brieseman. "Now, they all scrub, circulate, and inject anesthetic into the eye. They are now teaching the short-term staff what to do. When new staff comes, the Benin nurses are saying, 'This is what you do,' and 'Come here; I'll show you.It's really great to see. 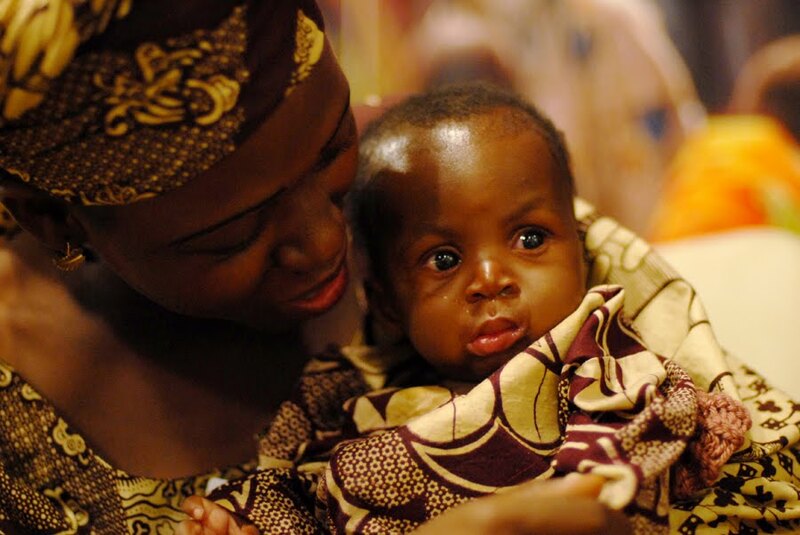 We've never trained local nurses, and it's been one of our coolest achievements." For many years to come, the OR suite on the Africa Mercy will continue to be a place of healing and transformation for thousands of individuals. As the OR staff continues to grow in statistics and achievements, the focus of their work is still to impact the lives of individuals. Brieseman saw a poignant example of this principle earlier this year. "During our last round of VVF surgeries there was a debate about whether we should perform surgery on the last patient of the day. It was already 4 p.m. and if we did the case, we knew we wouldn't finish until 7 p.m. or 8 p.m.Everyone had just worked the past three days and three nights and was exhausted. As we stood around discussing it, someone just went, 'All right, that's it; we are doing it. I remember standing at the door, watching this patient waddle down through the hallway holding her gown. I saw her back, and it was all wet. We could have ended on time and had our dinner, but she would have stayed wet in her bed. Instead, her life was going to be transformed. There were three or four of us standing there saying, 'I'm really glad we made that decision. Prince Eddie, one of our patients this outreached, emailed me this poem he wrote for the crew as we prepar to leave Benin. It's really lovely. FARE WELL MY GREAT WHITE WHALE. Thank you and fare thee well my great white whale. Photos from the village in Abomey I went to today. In the wake of heartache and tragedy, Abisoye has always remained optimistic and joyful. When I asked Abisoye - who likes to be called "Biso" for short - if she'd ever doubted God's love, she paused. Then she casually replied, "No, not really." Thirteen years ago, shortly after the birth of her first daughter, Biso's difficulties began. She noticed a small swelling on her tooth which slowly grew into a facial tumor. As it became noticeable, she was made an object of ridicule and scorn. "Some people thought I had HIV and that the tumor was contagious. It was hard for me to find employment, and people wouldn't invite me to parties," said Biso. "Even my sisters would not be part of me anymore. Sometimes they could be kind, but they were not proud that I was their sister. They didn't like introducing me to others as their sister." Five years ago, her husband was shot in the chest while serving in the Nigerian Navy. Surgery to remove the bullet was expensive - more than they could afford. He recovered from his injury, but the bullet was never removed. A year ago, Biso's husband died suddenly. The bullet had affected his heart, causing him to experience sudden "heart failure." It was a devastating loss - she still cannot talk about him without crying. "I saw him dying, and I couldn't help him. I didn't know he was going to die. I wish I had known," she said. Today, Biso is the single mother of four children - two boys and two girls, ranging in age from three to thirteen. When her husband died, she and her children were promptly evicted from Navy housing. Surviving in her homeland, Nigeria, has become a daily struggle. Biso and her children are self-described squatters, having no home or property. The oldest daughter lives with an aunt, while Biso and the other children stay with her mother. "We used to live in a nice house, but now we don't have a home. We squat and are living with my mom. The apartment is very small, and it is not very comfortable," said Biso. A college-educated woman, Biso previously held a job as an accountant. However, because of her tumor, no one will hire her. She has started baking and selling bread to support her family. As she grieved the loss of her husband, Biso became increasingly frightened and worried about the tumor. "When I would feel the tumor in my body, sometimes it was really painful. I read a book that said it could go to your brain, damage it, and kill you. I was so scared when I read that. Who would take care of my children if I died?" At that time, her six-year-old son, Donald, developed a bony lesion on his head. The lesion needed to be surgically removed. They both needed surgeries she could not afford. Biso began to fervently pray, asking God to provide for them. 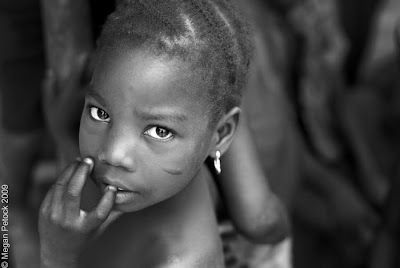 One day, her pastor received news that the Africa Mercy was coming to the neighboring country of Benin. A church member sent photos of Biso and Donald to the ship. After being reviewed by the medical staff, both were scheduled for surgery. "When they said they could help, I was so excited. I thought, 'At last the Lord is doing it!'" said Biso. Soon after, Biso and Donald traveled to the Africa Mercy. They were placed in neighboring beds onboard the hospital ship. The next day, within hours of each other, they received free surgeries. It took Biso more than a week to recover. During that time, she was a great encouragement to those around her. "Abisoye was a light when you came to the ward," said ward nurse Katelyn Billings. "She always had a positive attitude and was very encouraging. Her faith really impressed me. After all she'd been through in her life, the many struggles and challenges, still the first thing she would say to you was, 'God is so good.' Considering everything she has been through, it is pretty amazing that she can still say that." Wanting to share her experiences on the Africa Mercy with her community in Nigeria, Biso kept pen and paper at her bedside. Whenever she had a "memorable" experience, she wrote it down. Before leaving, she compiled a list more than three pages long. Hoping to gain supporters for Mercy Ships, Biso will use this list to write a story about the Africa Mercy. Biso doesn't have the words to express how grateful she is. "What can I say that will express what I feel? I feel like I have had spiritual heart surgery - everyone has been so kind and loving. This is a special group of people. I have been so inspired by everyone. Keep up the good work." As Biso returns to Nigeria, there are many unknowns. But one thing she is certain of is God's faithfulness to provide for the needs of her family. God has used Mercy Ships to demonstrate this to her. She says with great sincerity, "I am so happy. He has a special place in His heart for the widows and fatherless. He has been taking care of us, and I can see it. God is wonderful."